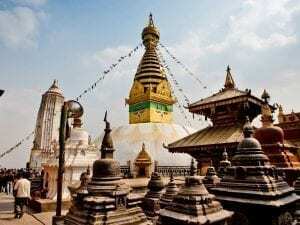 Swayambhunath is one of the most significant Buddhist Monasteries in Nepal. It is considered as one of the oldest monasteries in the world. It is also known as Monkey temple since there is holy monkey living in the temple. Many Buddhist, Hindus and the tourists come to visit this temple. It is a world heritage site situated at the central hill of Kathmandu from where you can view the whole Kathmandu city. Most of the Buddhist devotees visit this temple in Buddha Jayanti to celebrate the birth of Gautam Buddha by performing ritual puja and chanting mantras. 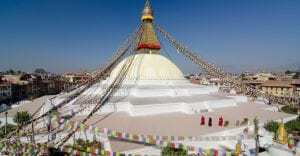 Boudhanath stupa is Nepal largest Buddha Monastery situated in Boudha which is east of Kathmandu. It is one of the important pilgrimage site of Buddhist in Nepal. It is also listed in World Heritage site by UNESCO. It has been renovated again after it was destroyed by the massive earthquake of April, 2015. Around Boudhanath, there is a large inhabitant of Tibetan refugees. It is also one of the most favorite tourist sites in Kathmandu. It is believed that this Buddha stupa was built after the death of Gautam Buddha. There are still disputes about who actually built this stupa. Lumbini is the birth place of Gautam Buddha. So, it is the world most popular pilgrimage sites for Buddhist. Many childhood events of Buddha is related to this place. There are Sacred Maya Devi Temple, Ashoka Piller, sacred pond, museums on the site. Every year in the Buddha Jayanti which is the Buddha’s Birth date, Buddhist devotees and many Buddhist gurus, monks all over the world come to Nepal to visit this temple, worship by doing some ritual pujas and chanting mantras. This site is also listed in UNESCO World heritage list in 1979. Kapan Monastery famous known as Kapan Gumba is built in Tibetan style at the hill side of Kapan. It just behind the Boudhanath stupa. Over 300 monks, especially Tibetan Buddhist reside in this monastery where they are taught the Buddha teachings and mantras. From the Kapan monastery, you can view the panoramic view of Bauddhanath and also the Himalayas range. It is situated just a few minutes of ride from the ring road of Kathmandu. 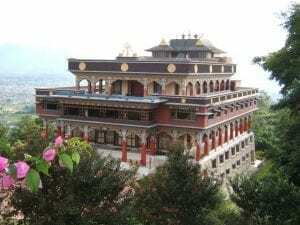 One can get the knowledge of meditation and spirituality by visiting this monastery. Currently, only those with an entry card are given to visit the temples. From 38 km to the east of Kathmandu, Namobuddha Monastery is situated at Kavre district of Nepal. It is situated on the top hill of Shyampati VDC. �It is one of the most important pilgrimage site for the Tibetan Buddhist. Namobuddha means Homage to Buddha.This temple is designed by Thrangu Rinpoche in 1978. It is one of the most beautiful places to visit. So, many tourists are attracted towards this place in the present days. Kartik Purnima and Buddha Jayanti is the main festival celebrated in this Monastery. Today, more than 250 monks are living in the Monastery.